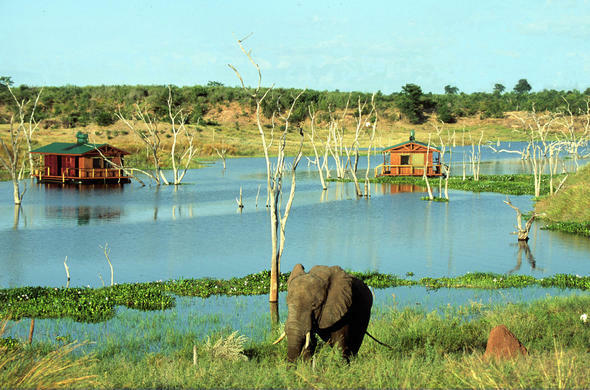 Considered one of the most pristine environments on earth the Okavango Delta in Botswana plays host to some of Africa's greatest natural occurrences, and the Okavango River is the lifeline of this oasis. Rising in the highlands of Angola in a network of streams the Cubango and Cuito Rivers eventually come together after more than 1000 km to form the Okavango River which then flows through the Caprivi Strip of Namibia into Botswana where the waters are lost through evaporation or sink away into the sands of the mystical Kalahari Desert, but not before ensuring the survival of one of earths most unique eco-systems, the Okavango Delta. 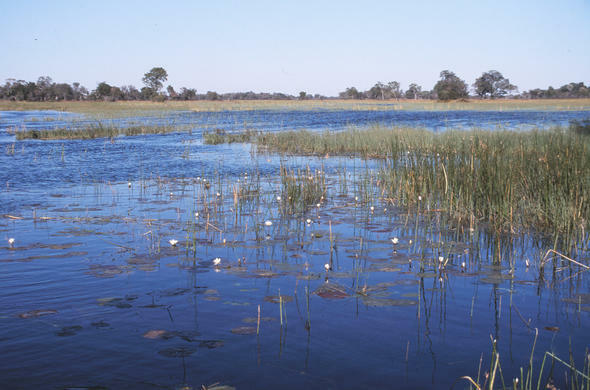 The remnant of an ancient lake that included the Etosha Pan in Namibia and the vast expanse of the Makgadikgadi in Central Botswana, the Okavango is slowly dying and it is thought that in a thousand years the Delta will be no more. 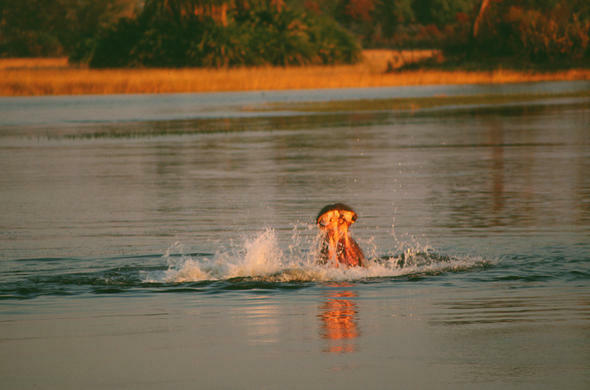 Most rivers of the world flow into the sea or join a larger river that then ends in the ocean but the Okavango River does not get anywhere near another river or an ocean, instead pouring out its life-giving waters on the sands of the Kalahari Desert. 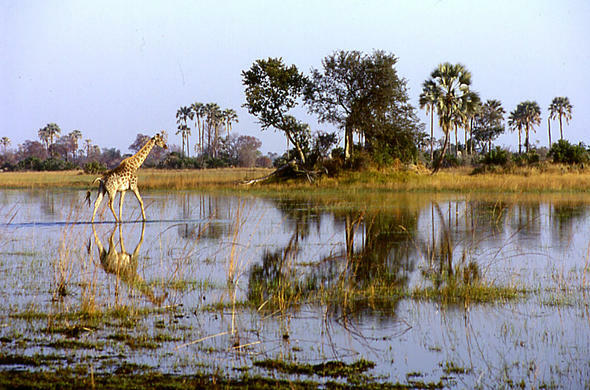 Where the river ends in the desert is found one of the most precious wilderness areas on earth, the Okavango Delta. 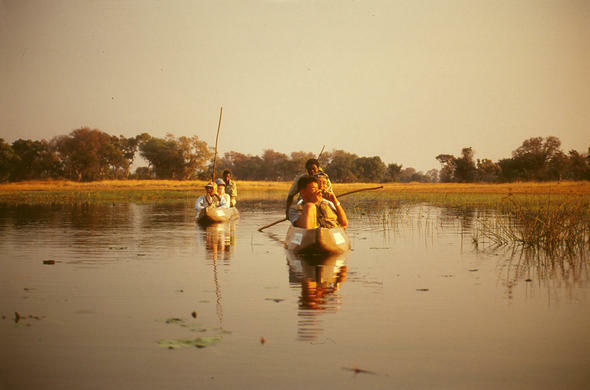 Humans have lived in harmony with the river for centuries but with the explosion of the population stresses in the fragile eco-system that is the river are starting to show, with fish numbers decreasing in many areas. Uncontrolled fishing is having a serious affect on fish stocks.In the past few years, with the rapid growth in tourism in the region, the fear has been expressed that too many camps and lodges will have a detrimental effect on water quality, which is still considered the purist natural water on earth.